Hardcover with jacket, 384 pages, 12.5 x 20.0 cm, 4.9 x 7.9 in. Alfred Wegener is a man driven. In 1930 he sets out for his fourth and final expedition to Greenland. The enthusiastic scientist wants to collect evidence for a theory that matters to him more than anything else. But there are difficulties and he does not make it back to the coast. 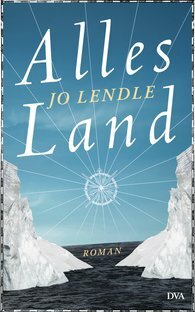 From Wegener's icy grave, Jo Lendle looks back at the life of this last great hero of polar exploration whois laughed at by the scientific community for his daring theory of continental drift – a theory he does not win recognition for until three decades after his death. "It's a literary, lyrical, informative, exciting reading experience. It's funny, it's quirky, it's smart because he brings Alfred Wegener to life and adds his own tone to it."